Alex De Minaur made it a Davis Cup debut to remember as he pushed Alexander Zverev to five hard-fought sets. World No.5 Alexander Zverev has drawn first blood for Germany in their Davis Cup first round tie against Australia, overcoming plucky rookie Alex de Minaur in a five set epic in Brisbane. Zverev, 20, finally downed world No.139 de Minaur 7-5 4-6 4-6 6-3 7-6 (4) in just under four hours, giving Germany a 1-0 start to the best of five tie at Pat Rafter Arena. Australian No.1 Nick Kyrgios next plays Jan-Lennard Struff on Friday. 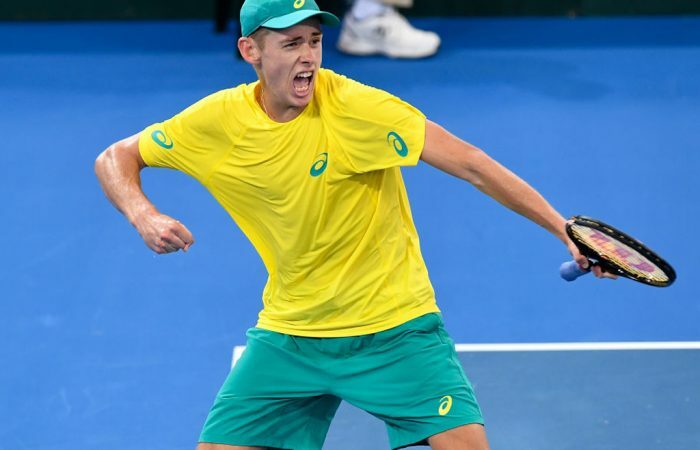 De Minaur – aged just 18 – looked poised to extend his stellar summer run when he jumped to a two sets to one lead against Zverev, ranked 134 places higher than the Australian. But Zverev dug deep to improve his Cup record to 2-4 and leave the never-say-die de Minaur shattered. 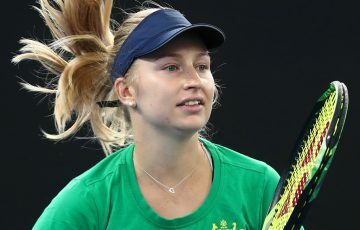 The Sydney-born, Spain-based teenager still justified team captain Lleyton Hewitt’s surprise selection as Australia’s No.2 singles player with his stirring display. Despite being the team’s No.5 ranked singles player, Hewitt went with de Minaur after a purple patch that included a Brisbane International semis berth and his first ATP tour final appearance, in Sydney last month. Zverev capitalised on de Minaur’s nervous start to jump to a 3-0 lead but the teenager hit back to lock it up 5-5 before the German’s experience showed, winning the first set in 47 minutes. De Minaur broke in the fifth game of the second set, making the most of Zverev’s 23 unforced errors to claim it in 45 minutes. And suddenly it was game on after de Minaur went two sets up, capitalising on a break in the seventh game of the third set. Zverev then fired up, breaking the Australian in the eighth game to claim the fourth set before finally ending de Minaur’s resistance 7-4 in the fifth set tiebreak. The winner advances to the quarterfinals from April 6-8, either hosting Great Britain or travelling to face Spain. The losing nation will contest September’s World Cup playoffs, to be drawn on April 10. 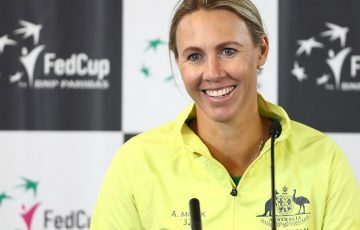 Australia – looking to claim a first Davis Cup title in 15 years – has reached the World Group semifinals twice in the past three years.